Ok, summer (Summer, summer, summmer tiiiiimmmmeee!) the time of weddings and parties to go to. 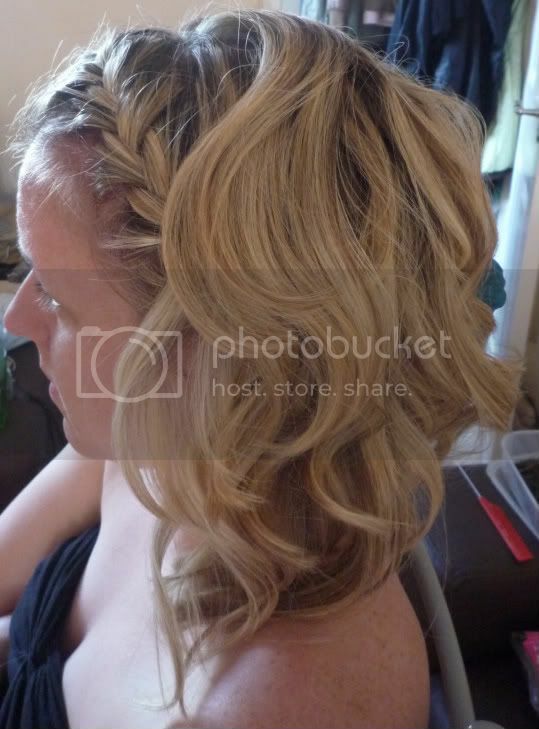 I've had a few friends ask me to do their hair - and it's something I love doing. 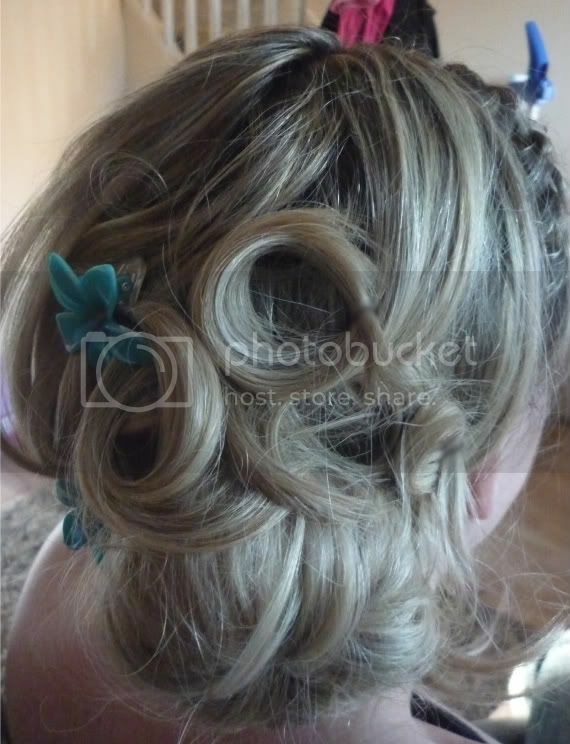 I could stand there for ages curling, twisting, plaiting. 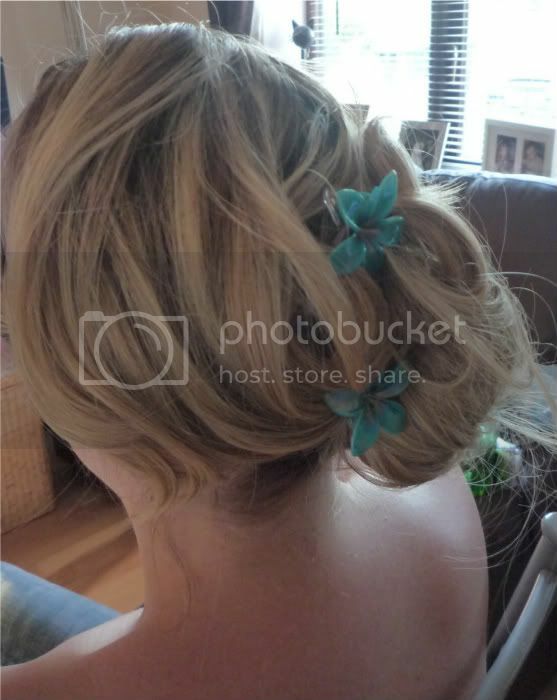 I had a 'trial run' with my friend Annie last night, I'm doing her hair when she gets married next year so this was good practice for her hair type. We tried a few things so I thought I'd share the pics with you. First up, I french braided/plaited her hair along the top, from ear to ear. 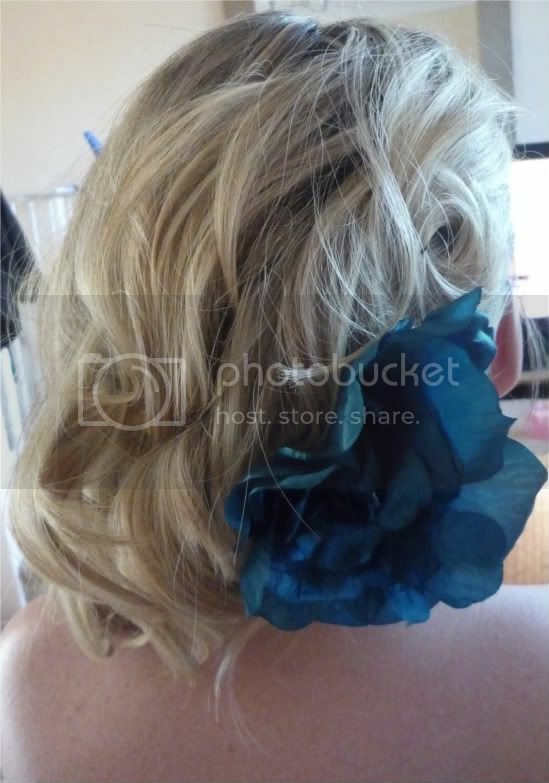 Then I loosely curled the rest of the hair, and sweeping to one side I attached a large flower at the back. 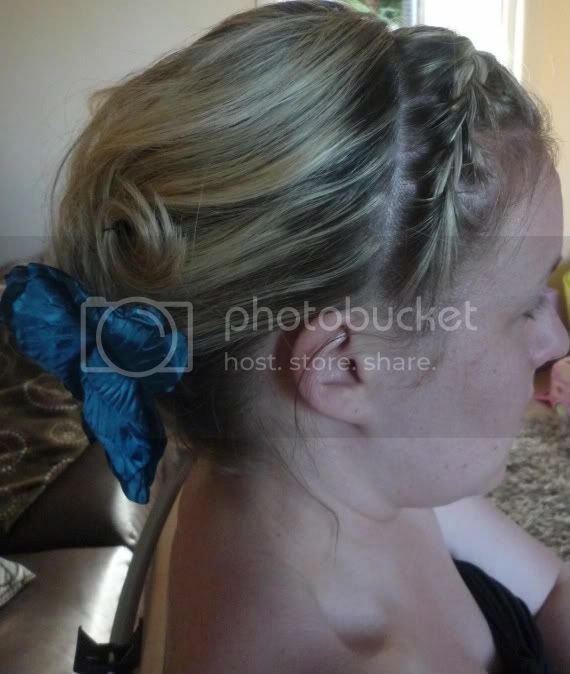 Then to try something different, I left the plait in, sectioned the hair so the top (crown) section was loose and using the bun ring from my last post (bought in Boots for about £3) I created a low slung side bun, then taking the hair from the crown I'd sectioned I began pinning the curls loosely around the bun. I attached some cute flower slides and that's it! It will be neater when I do it on Saturday, I'd been brushing, pulling the hair into different styles most of the evening. What do you guys think? Do you like getting your hair styled and messed around with, or is that your worst nightmare? Oh the second look is stunning! 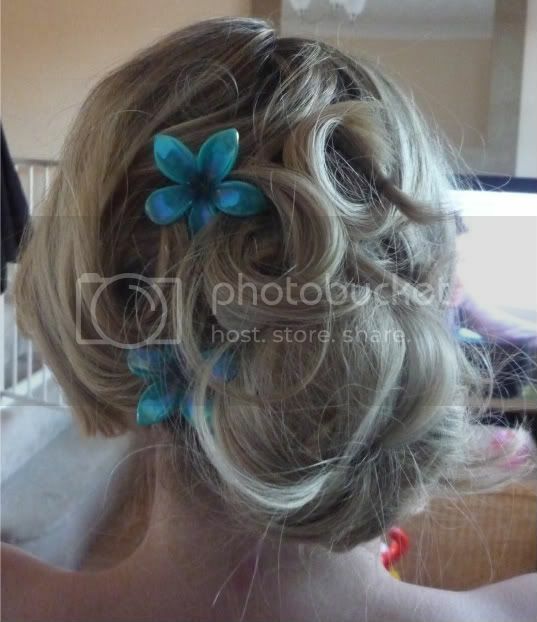 I love the bun and curls and the little clips are such a pretty touch. Fab look! 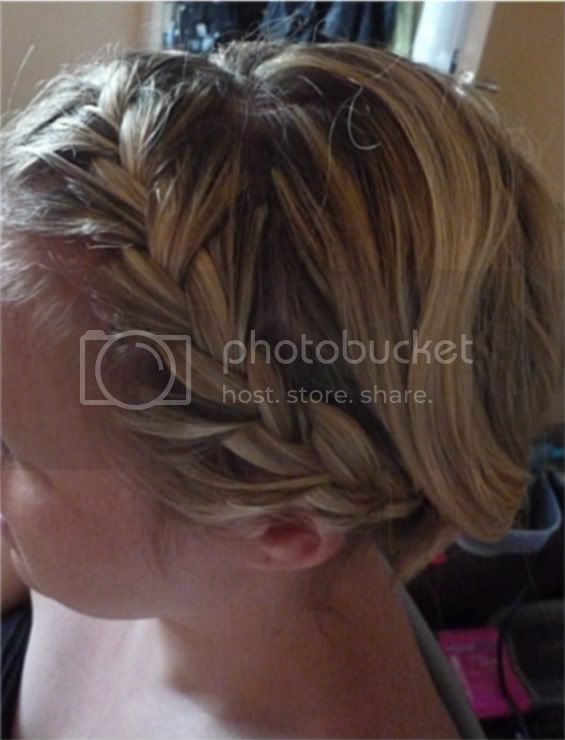 Especially love the second one :) I am forever trying to perfect the messy, but pretty up do, haven't managed it yet though!! This looks stunning. I love the slightly undone effect, and the strategically placed flowers look wonderful! A really naturally beautiful style. How lucky is Annie to have a friend like you? I love them all but my fave has to be the top pic, I love the chunkiness of the plait, I need to try this (when my Glasto, not-washing-for-a-week zits have vanished)!